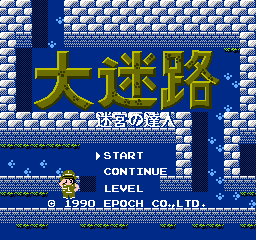 Dai Meiro: Meikyuu no Tatsujin is an adventure game for the Nintendo Entertainment System. Complete translation with no currently known issues. Available in both NINJA (.RUP) and IPS format patches.